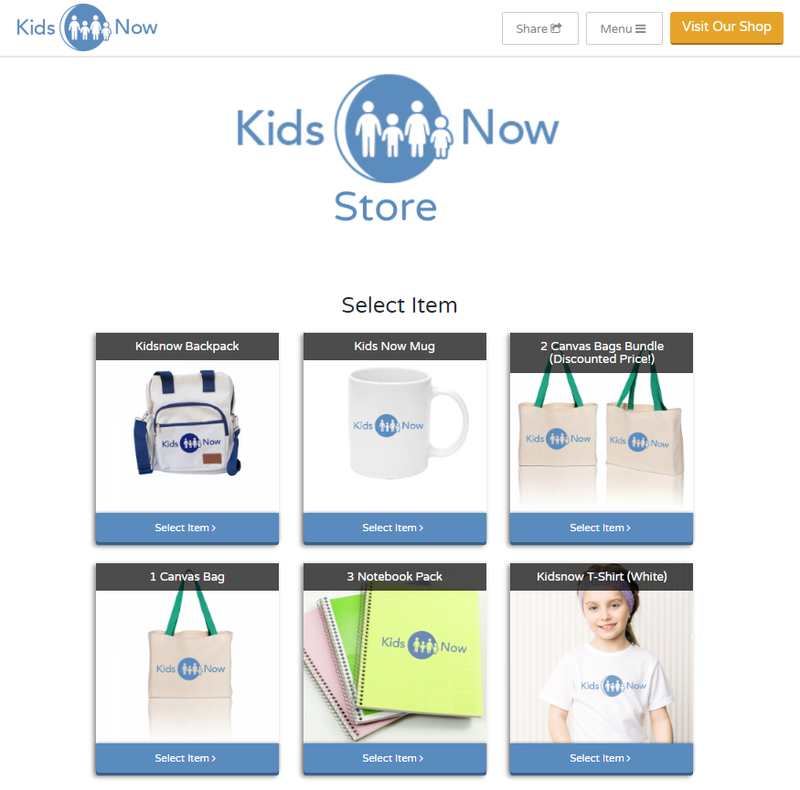 Shopping Cart is here for your online store! 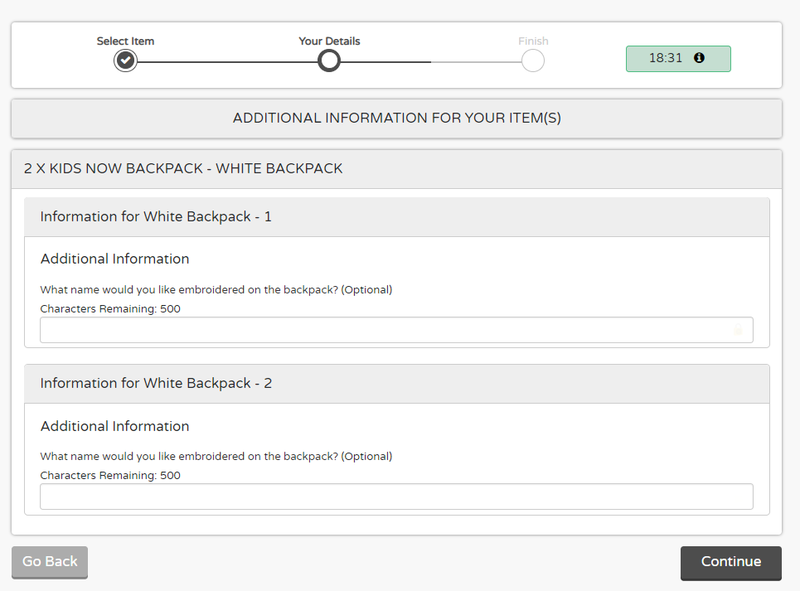 Now you'll be able to sell multiple items in a single transaction. 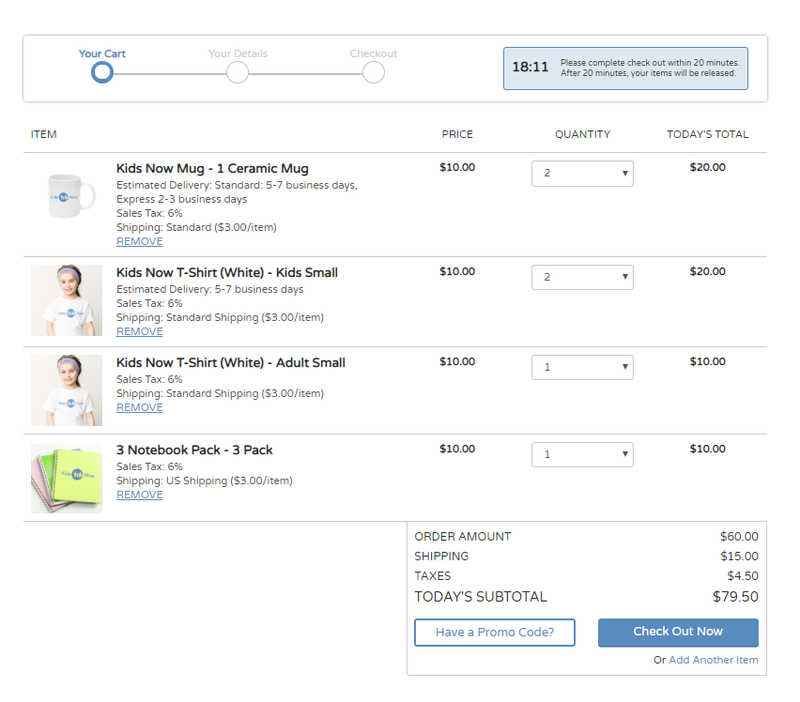 Add a sales tax percentage to each different item in your Online Store. Give your supporters various shipping options to choose from and set the price per shipping option. Some examples of shipping methods include speed of shipping and where you are shipping to. 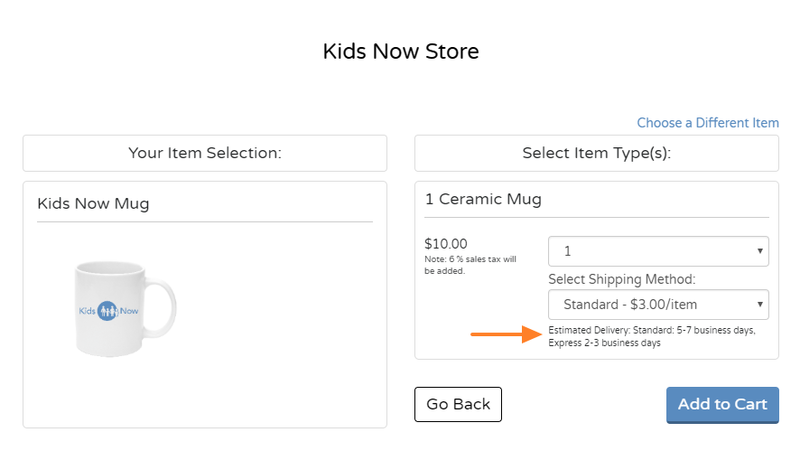 Since shipping costs can add up, you can cap the shipping cost of an entire order by setting a max shipping cost for the entire order. Let your supporters know when they should expect to receive their item by adding estimated delivery dates. Create coupon codes to share with your supporters. 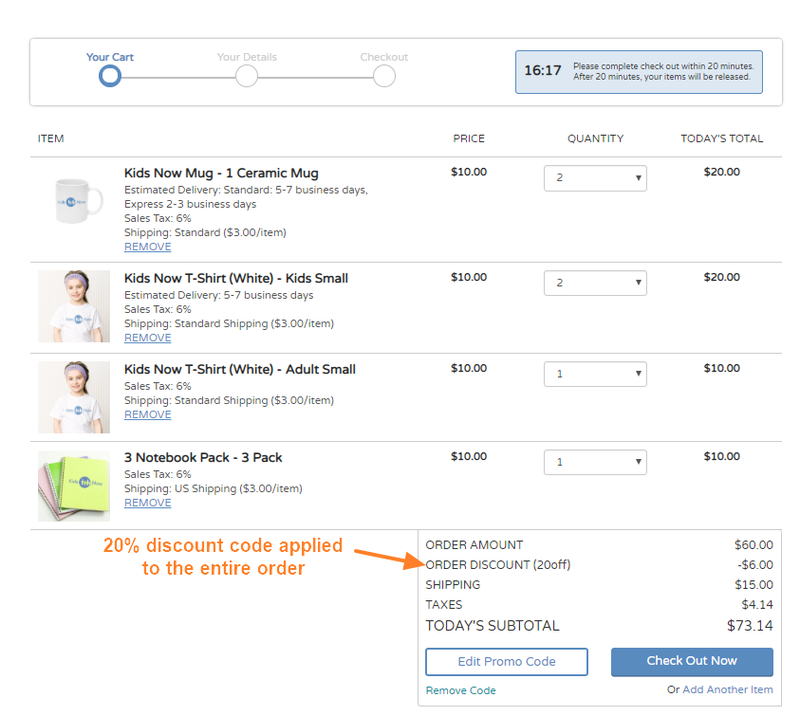 Coupon codes can be created to apply to an entire order or to a specific item(s). 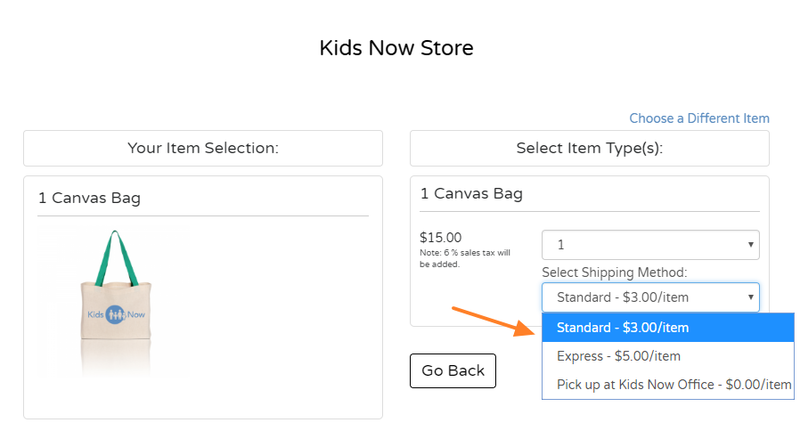 If you set a coupon code for a specific item, the coupon code will only work when that item is in the cart. 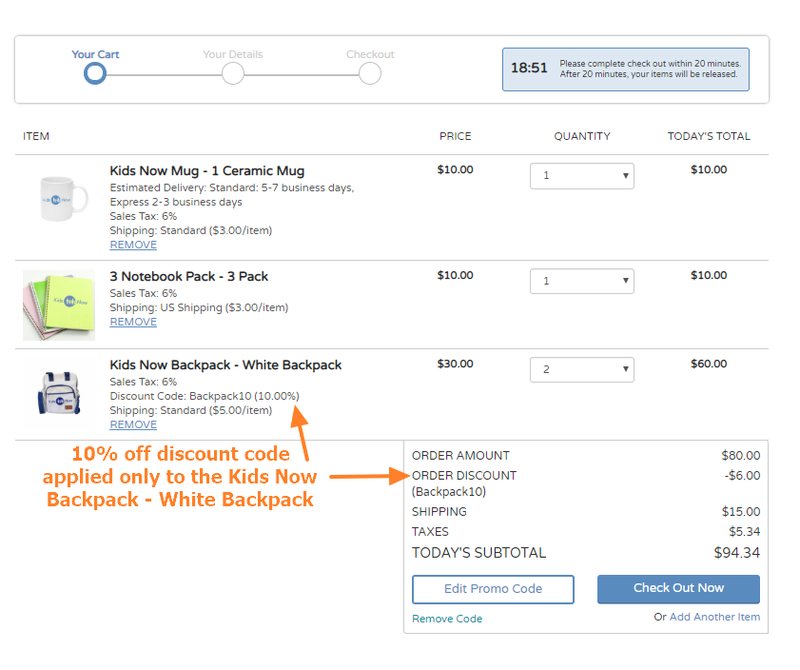 Here is an example of a 10% off backpacks coupon code. Have a specific question you need to ask your supporter based on what they purchase? Add a custom field to each item type. Here is an example of offering a free name embroidery on a backpack. In this example my supporter is purchasing 2 backpacks, so they will be asked 2 times what name they would like embroidered onto the backpack. 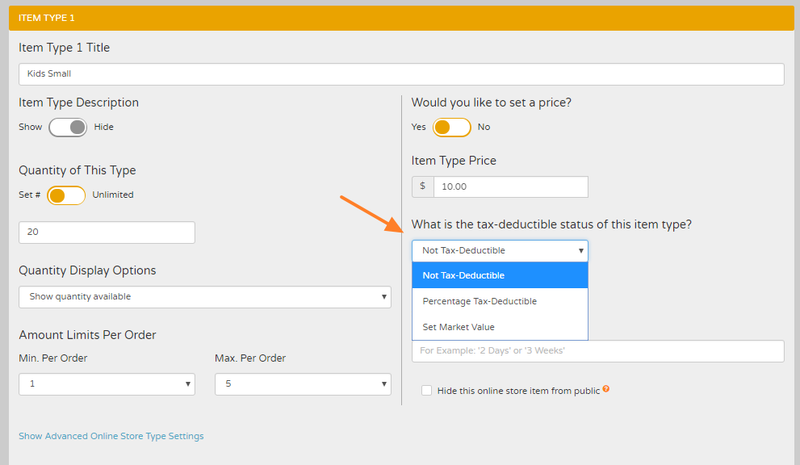 Set the tax-deductible status of each item type. Choose between Not Tax-Deductible, Percentage Tax-Deductible, or Set Market Value.